Waterfall Info: ​This wet-weather waterfall is on the uppermost north tributary of Andrews Creek above Highway 75. There is more falling water than just the section showed here, but most of it isn't scenic. 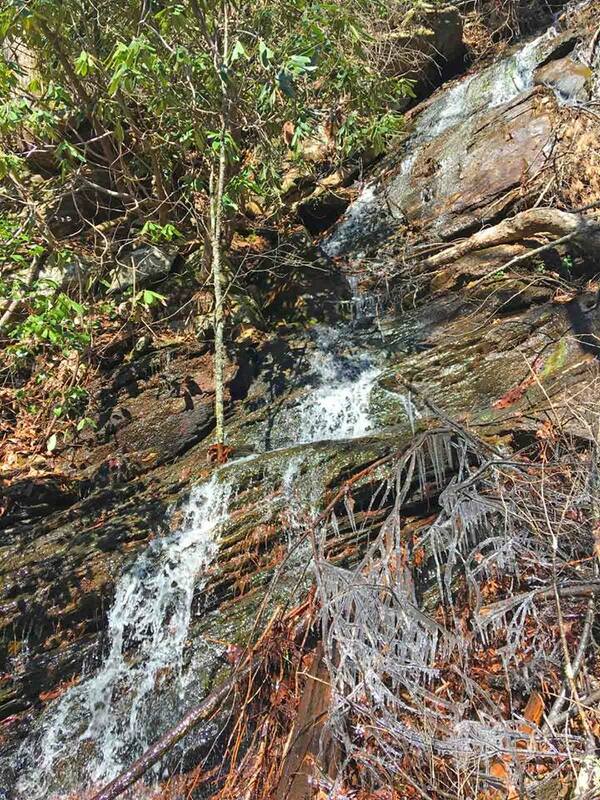 Access Info: This falls is accessed by a steep, tough bushwhack from the Andrews Cove Trail.